Esports revenue is forecast to exceed $1.65bn by 2021 worldwide, according to new research. 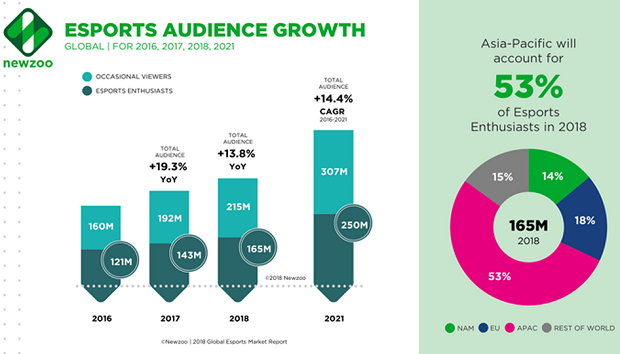 The study, from marketing intelligence firm NewZoo, indicates that the total esports audience is expected to reach 380 million this year. Media and telecom companies are showing increased interest, with a $45 million per year deal between Twitch and the Overwatch League (OWL). The group says that the pro-gaming sector will generate $906m; $345m of that will be coming from North America, with a further $164m coming from China. Of that $906m, $77 per cent will come from brand investments, a figure that will grow from $694m this year to $1.4bn by 2021. By that point, it’ll be 84 per cent of esports revenue. Last year, there were 588 ‘major esports events’ that generated an estimated $59m – that’s up from $32m in 2016, almost double. Meanwhile, esports prize money broke the $100m for the first time, with $112m being handed out at events. “As a consumer phenomenon, esports continues to grow its huge base of passionate fans across the globe,” CEO Peter Warman said. 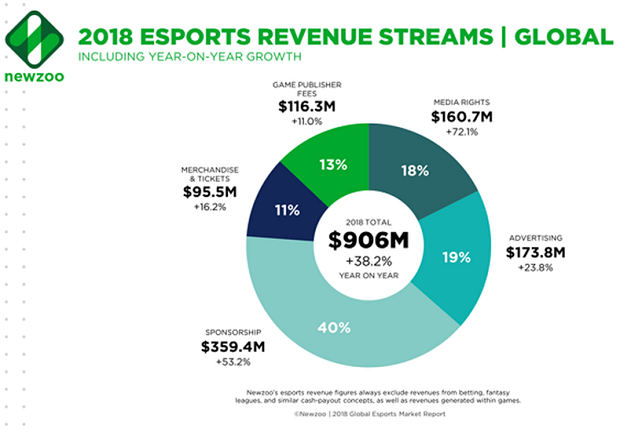 As part of its 2018 Global Esports Market Report, Newzoo has laid out the ten key factors that will determine the pace of growth in the esports industry. These have been broken down into three categories: the dimensions of growth, the accelerating elements, and the shaping of an industry. PC gaming franchises are expected to continue to dominate the western esports market, with mobile remaining niche outside of Asia. However, because of the inherent transience of mobile gaming, live competitions can be organised on a more casual level, such as the growing trend of Clash Royale competitions being held in bars and cafés. “Many startups launching consumer services based on blockchain have their roots in games. Gaming has pioneered digital business models, marketing mechanics, and virtual currencies and economies,” the report reads. 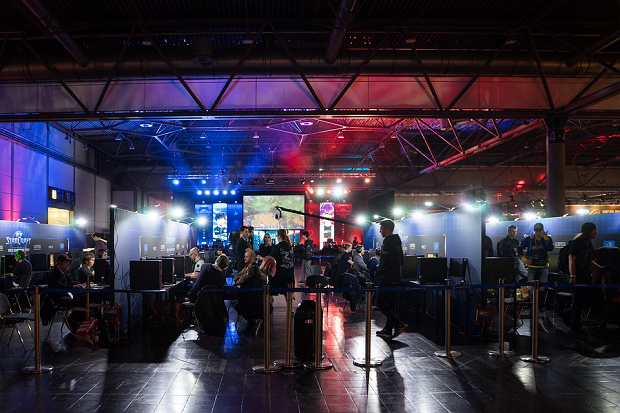 Duncan McMonagle, SVP and GM, eSports, Minute Media said: “Major brands are increasingly viewing eSports as an opportunity to get closer to a traditionally difficult to reach audience and achieve a direct return. The fact is though, most brands are still struggling to get their heads around how to engage such a diverse and global audience. For starters, different games attract entirely different audiences and age-groups, so picking the right tie-up requires an understanding of the market that many brands simply don’t have yet.